Ephesians 5:18 Do not get drunk on wine, which leads to debauchery. Instead, be filled with the Spirit. I think a lot about sharing my faith, spreading the gospel, and sharing the very good news of Jesus Christ….but I just cannot do this on my own…I need the lead and help of the Holy spirit. Sometimes I do really bold things for the Lord…..like last week… I just out of the blue started praying for my jeweler. I thought it was a little strange because…well…he’s my jeweler. He did tell me in the past that he needs both hips replaced and he also had back trouble and was always in constant pain. I have shared my faith with him. I even invited him to my church to have a table as a vendor at a church affair. So Monday the Lord told me to call him and don’t mention anything about jewelry…but tell him you are praying for him. So I did and of course… I could tell by his voice….he thought it was strange too. But as he thought about it he asked me when did I begin praying? He told me he had gotten injections in his back in the past and they never worked but this time was the first time they worked and he said he is still not in pain. I told him God does indeed answer prayer. I do… “out of the norm”… stuff for the Lord all the time. How do I get the boldness to do these things? When we accepted Christ into our lives, we were given a gift of the Holy Spirit (Ephesians 1:13). Being filled with the Spirit is when I have released my own will, want and desires to that which is God’s will, want and desires for me to accomplish for Him for a brief period of time. I let go and let God. I’m not out of control at these times…just under His control and direction. Be filled is having God… all over me. He possesses my being with the fullness of His presence. It’s like I look out of my own eyes and I see what He sees, feel like He feels and do what He would do. I feel peaceful, fearless, wise, bold, discerning and powerful. I feel like the child of a king. I feel the power of the armor of God. I feel the strength of His love for me. I feel God’s heart! This infilling can be just for me at a time of deep personal prayer or it can be for a task that He may have me to do like…giving a word in a church service, giving a word to someone directly, or any assignment God may have me to do for Him. The Holy Spirit gives me the boldness to do these things. Do I always get it right? No…I’m not perfect…but this doesn’t stop me because… not to do it and disappoint God is too much for me to handle. On top of that I find the joy of encouraging people and leading them to Christ is a blessing. How do I know that the Holy Spirit is leading me? For me…it’s like getting a letter in my spiritual mail box. I just know…I know my Father voice…I sense His presence. It has been a process of doing things for Him and seeing the fruits from it. The lessons will also include times of missed opportunities to be used by Him and resulting in knowing in my heart that I’ve missed the mark on this one and feeling the sadness in disappointing God. Jesus had a very powerful ministry when He was here on earth and the first thing that the bible reveals about His ministry is that…..He was full of the Holy Spirit and He had the power of the Holy Spirit. I believe this was a constant infilling because He did so many things in His earthly ministry that everything wasn’t even included in the scriptures because it was so much. He needed the total fullness of the Holy Spirit to do all that He did. We too need to be filled and operate in the power of the Holy Spirit. We have power when we are filled with the Holy Spirit. 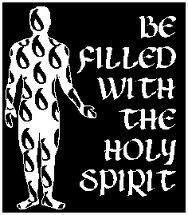 Please do not be afraid to be filled with the Holy Spirit. He is not going to make you do something you don’t want to do or that you are uncomfortable in doing. I have opened myself up to the Holy Spirit to be used in any way God sees fit to use me. I’ve learned to… take a leap of faith…get my feet wet…take in a deep breath…and just do it. 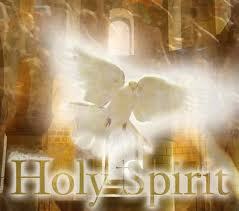 I want all of God and I want to be filled with His Holy Spirit. 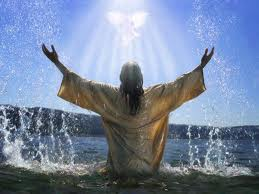 Being filled With God’s Spirit brings blessings, fullness and abundance to my life….I need that….I need Him. Message for today: Be filled with the Spirit. Thank you for this site! God BLESS YOU my sister in CHRIST! God bless you too! Thanks for stopping by. Thank you for these precious words of wisdom Camary1996. As one who seeks after God daily, I understand the need to be “filled with the Holy Spirit”….he really enables us to press through especially when we don’t know what to pray for or when we may not be able to focus in our prayer time. Thank you so much for visiting my blog today Minister Glenda. Your words are so true. God bless you! Very practical help for me as I seek to be more available for God’s use. God bless you as you seek to be more available to our Lord. Great Post! Thanks and God Bless.